Good Samaritan Mission held its first ever graduation on March 20th, with four residents receiving diplomas! 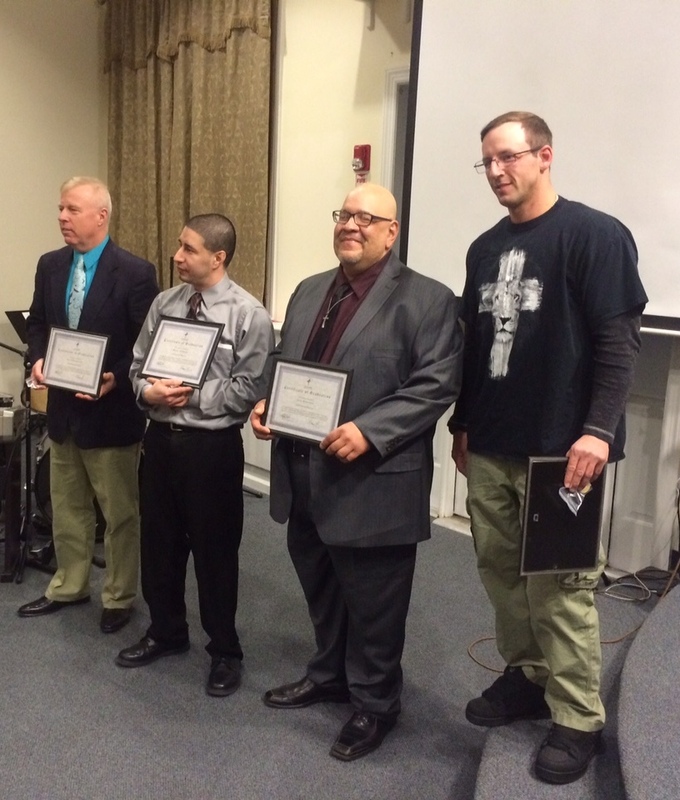 Bruce Petrovich, Randy Garrido, and Axel Martinez, and Randy Faust, all current or former residents of Discipleship House (DH), accepted their formal recognition for having completed the Discipleship House program. Each of them completed the program in about 9 months. The program is designed to be 9-12 months in duration. The Graduation Ceremony was held at the Cambodian New Life Evangelical Church on Maple Avenue in Danbury. Approximately 50 people attended, most of who were family and friends of the graduates. The Guest Speaker was Rhoda Banks, LCSW. Danbury Mayor Mark Boughton also spoke and offered a word of encouragement to the graduates. While at DH, the residents received discipleship training, Bible study classes, life skills instruction, and job readiness skills, among other things. Randy Faust, Axel and Bruce are all now employed full time.